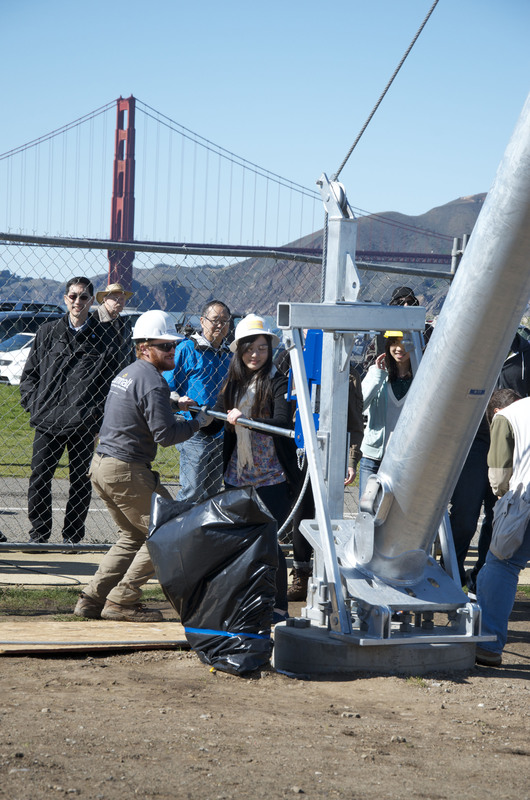 The Crissy Field Center, an environmental education center operated by the Golden Gate National Parks Conservancy, the Park Service and the Presidio Trust, erected three out of an eventual five wind turbines Wednesday. The event highlighted the expanding mission of the National Park Service to use more renewable energy in powering park facilities. 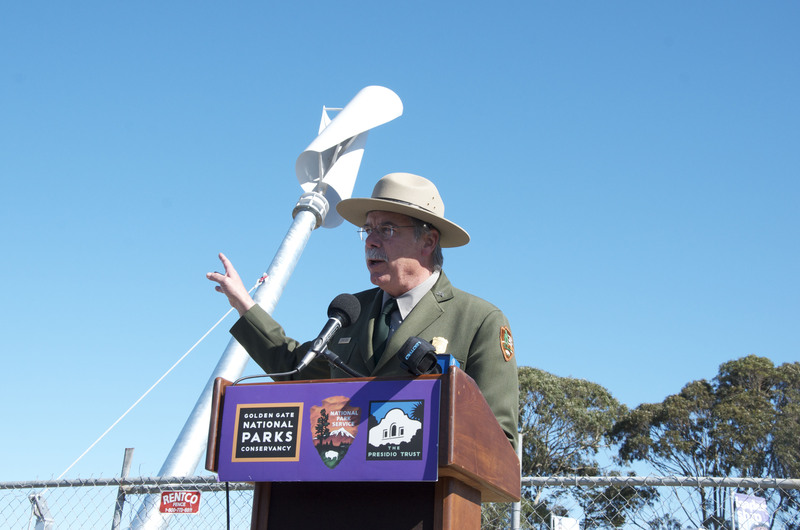 While the Center’s turbines will be used for mostly educational purposes, the ceremony took place on the same day that the National Park Service reached an interconnection agreement with Southern California Edison to bring 20 dormant renewable energy projects in California online. Many of these projects have remained offline for up to two and a half years due to stalled negotiations with the electric utility. “This is great news. It’s a win-win all around. It will mean lower costs for taxpayers and clean energy benefits to the environment,” Senator Barbara Boxer wrote in a letter to Southern California Edison. The National Park Service has solar and geothermal energy projects in Death Valley National Park, Santa Monica Mountains National Recreation Area, Channel Islands National Park, Mojave National Preserve and Sequoia & Kings Canyon National Parks. At Crissy Field Center, the focus is on education, but the Golden Gate National Parks Conservancy and the Hawaii Natural Energy Institute are conducting a 5-year study looking into the turbines’ overall effectiveness at generating usable power. They’ll also be viewable to the public. “Crissy Field is one of our more popular destinations in the park. And it’s a great chance to learn about energy independence and different types of technology as we bring them online here,” explained Frank Dean, General Superintendent of Golden Gate National Recreation Area. Students at the Galileo Academy of Science and Technology will monitor data collected from the turbines to evaluate their efficiency in their environmental science class.